Discover your unique family history! This resource includes billions of records from around the world, including from U.S., U.K., and Canadian census and vital records, immigration and passport records, periodicals and books, photos, and more. Browse millions of records at this great resource. Stop by our Reference Desk for more information on how to use this valuable database to help boost your family research! The following history and genealogy volumes are in our Reference section. In addition to these books we have the Windham County Transcript on microfilm from 1848 to 1977. Please ask to use the microfilm reader at the Circulation desk. Bowen, Clarence Winthrop. The History of Woodstock, Connecticut. 8 Volumes. Historic Gleanings of Windham County Connecticut. 2 Volumes. 1890. Larimore, N.D. History of Danielson Connecticut. 1905. Larned, Ellen D. History of Windham County. 1976. Reprint of 1874-1880 ed. Lincoln, Allen. Modern History of Windham County. 2 Volumes. 1920. Weaver, Margaret. Miles and Millstreams. 1976. Barbour Collection of Connecticut Town Vital Records. 55 Volumes. 1994-2002. Cutter, William. Genealogical History of Connecticut. 1911. Dictionary of Family Names. 3 volumes. 2003. Genealogies of Connecticut Families. 1983. New England Historical and Genealogical Register – Index of Persons. 4 volumes. 1972. Savage, James. Genealogical Dictionary of the First Settlers of New England. 4 volumes. Archives Access - The library has a responsibility to conserve local history materials. This repository of research materials is available for serious research and , therefore, it DOES NOT CIRCULATE. Whenever possible, duplicates are in the circulating or reference collections. Besides books, Archives includes such items as pamphlets, postcards, photographs, clippings, maps, artifacts, and town records. Most of the items are unique and irreplaceable. Access to the Archives is restricted to the staff. The Adult Reference staff will be happy to assist you. Other restrictions are in place to preserve the collection, call the library (860-779-5383) for details regarding the use of this collection. Please allow up to one week for staff to respond to your research request. Search the National Archives of Canada, National Library of Canada and the Genealogy Centre. Search and read newspaper pages from 1900-1910, and find information about American newspapers published between 1690-present. From the National Endowment for the Humanities and the Library of Congress. 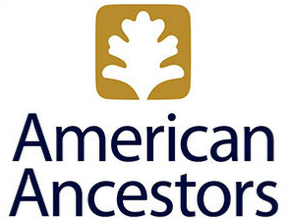 The most comprehensive categorized and cross-referenced list of over 300,000 websites related to genealogy. Online searchable death indexes and records. Included are: death records, death certificate indexes, death notices some obituaries, prorbate indexes, as well as cemetery and burial records. This large collection of genealogical information pages run by volunteers covers England, Ireland, Scotland, Wales, the Channel Islands and the Isle of Man. Includes a link to the UK National Archives. GENUKI is the British equivalent of the USGenWeb site. Maintains retired records from federal agencies and provides information about locating immigration, land, military, and census records, including the newly released 1940 U.S. Census. A volunteer project to provide Internet sites for genealogical research in every county and state of the U.S. Includes access to the USGW Digital Library transcription project and a variety of other special projects and sites.